“You’re not going to believe this,” came the voice on the other end of the line, “I missed my bus”. 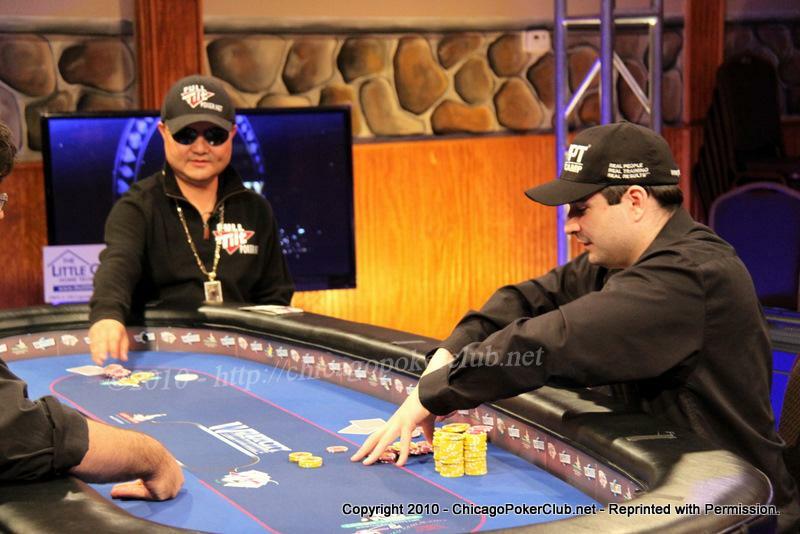 “You’re kidding?” Kirk Fallah, the creator and producer of Windy City Poker Championship, was distraught. His face fell. “Jerry missed his bus,” he relayed to the crew. Jerry Yang was born in Laos, and escaped with his family to Thailand when his home country fell under Communist rule in the 1970s. Life didn’t get much easier, as his family spent four years in a refugee camp, where they faced more adversity than most of us can imagine. At the age of 13, Jerry came to the US, and the rest of his story began to unfold. In 2007, Jerry Yang won $8.25MM and the championship bracelet when he took down the Main Event of the World Series of Poker. On this particular weekend, three years later, Jerry headed 2000 miles east to attend the Chicago Memorial Police Foundation poker event, and also to benefit the charities involved with Main Event Charity Games, and a number of upcoming episodes of Windy City Poker Championship. When Kirk received the unfortunate phone call, Jerry had headed an additional 80 miles east, to the Four Winds Casino in New Buffalo, MI. The humble champ opted to take the casino’s complimentary shuttle, and while monitoring the return schedule, based his timing on “Chicago time”, not realizing that Michigan was an additional time zone east (later). Now the champ missed his ride, and the TV production was on hold.